On Sunday Mexicans will go to the polls after a tumultuous political year. Last August Congress passed legislation making the internationally-heralded yet domestically controversial energy reform a reality. In retrospect, that achievement may prove the high point of President Enrique Peña Nieto’s sexenio. Six weeks later the disappearance of 43 students from the Ayotzinapa teacher’s training college in the state of Guerrero, apparently at the hands of local officials in league with organized crime, sent the country into a cataclysm of social protest and political crisis. More bad news quickly followed for the president as investigations into the acquisition of luxury homes by the first lady, finance minister, and other high-level officials further eroded public trust in the political class. More recently, outbreaks of intense violence in parts of Mexico and the less dramatic but equally troubling decision to suspend teacher evaluations in the face of pressure from radical unions have cast further doubt on the government’s ability to seriously address the country’s core challenges. Despite all this, the ruling Partido Revolucionario Institucional (PRI) is expected to fare relatively well in Sunday’s elections for 500 seats in the federal legislature, governorships in nine states, 17 local congresses, and several hundred mayors. The most recent polls show the PRI leading the legislative race with 32 percent of the intended vote, which should allow the party to maintain a small majority in the chamber of deputies. The PRI is likely to prevail in five of the nine states electing governors; the party currently holds power in six. However, those numbers only tell part of the story. To really understand this election, and its ramifications for the 2018 presidential race, keep these six questions in mind as Mexicans go to the polls on Sunday. How large is the turnout? Mexican voters looking to punish the PRI—and there is no shortage of reasons why they would want to—are more likely to stay home or vote “null” than cast their vote for an opposition party. Both the PAN and the PRD, the two main political forces after the PRI, have had troubles of their own recently. The PRD has the ignominious distinction of being the party in charge of the municipality and state where the Ayotzinapa disappearances occurred, while the PAN has been beset by infighting and scandals surrounding the behavior of party members. 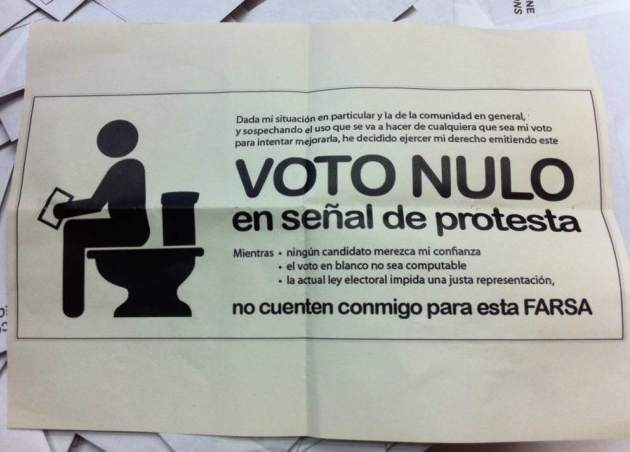 Reflecting a general discontent with the political class, a movement encouraging voters to nullify their ballots—the “voto nulo”—has arisen. Surveys suggest that 41 percent of Mexicans agree that nullifying ballots is a good way to voice discontent with the political system—although this figure is not much higher than during past elections. Many more Mexicans will probably express their dissatisfaction with the current political options by simply sitting this election out. Another factor that could keep voters away from the polls on Sunday is fear. Violence against candidates and political activists has marked the run-up to the elections (see question 6 below), and such incidents have been shown to depress turnout in past elections. While voter participation tends to go down in mid-term elections (in Mexico and everywhere), an especially low turnout on Sunday would be a double indictment of the political system in Mexico, reflecting voter’s lack of confidence in political parties and, in some localities, the ability of the government to guarantee their safety. Will neoleoneses elect a bronco? The race for governor of Nuevo León has attracted a great deal of attention due to the success of an independent candidate, Jaime Rodríguez Calderón, better known as “el Bronco.” Independent candidates are a new feature of Mexico’s political scene, allowed only since a 2012 Constitutional reform. El Bronco has galvanized voters in Mexico’s richest state with promises to visit poor neighborhoods every day of his administration, invitations for voters to keep in touch on “Whatsapp,” and a heavy dose of criticism of the corruption of Mexico’s political parties. Never mind that before his reincarnation as el Bronco, Rodríguez was a PRI stalwart for three decades. It is not surprising that el Bronco’s populist flourishes have played well in Mexico’s current political environment. What is perhaps surprising is that they have done so in wealthy, industrial Nuevo León, where authorities are credited with successfully rooting out the drug cartels that wreaked havoc in the state capital Monterrey in 2009. As of last week, some polls had el Bronco in the lead while others put him well behind the PRI candidate. Even if he wins, most political observers do not think a Rodríguez victory would bring about radical changes in Nuevo León, despite comparisons to Hugo Chávez by none other than former president Felipe Calderón. 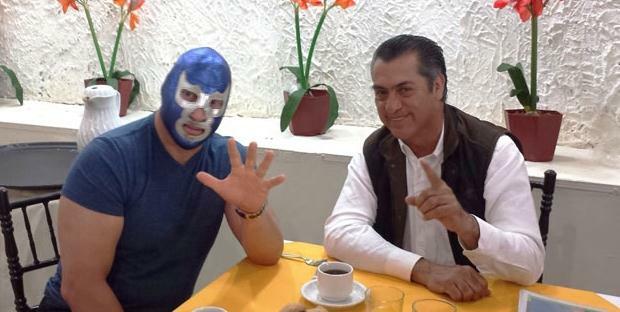 Still, el Bronco’s ability to mount a credible campaign without the backing of a political party will certainly have repercussions for the 2018 presidential vote, when many analysts expect an independent candidate to run. 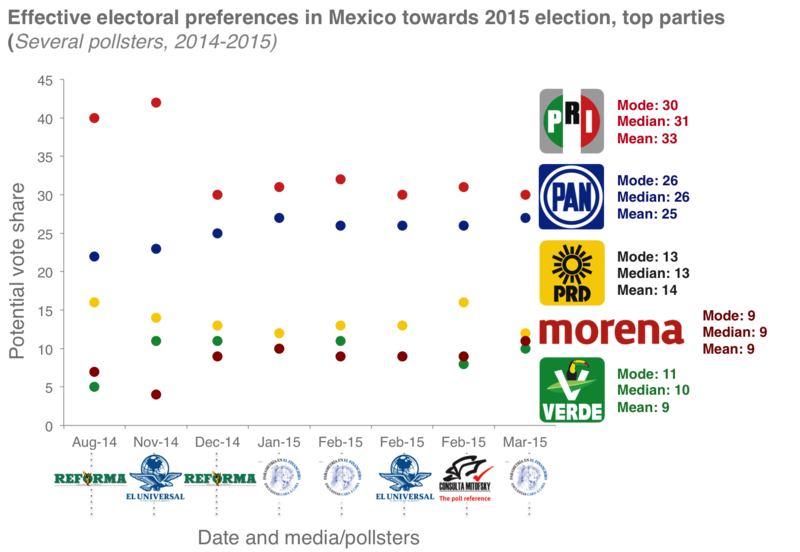 It is also part of the more general trend towards fragmentation of Mexico’s three-party system, with new challengers such as Morena (see below) and others giving the top-tier parties a run for their money. What’s the deal with the Green party? The Partido Verde Ecologista de México (PVEM), Mexico’s Green party, has enjoyed a steady rise in the polls, from around 5 percent in August 2014 to 10 percent according to recent figures, which would give the party its best result ever and put the PVEM on par with Morena and in the same ballpark as the PRD. Does this trend reflect the emergence of a strong environmentalist movement that could redefine the political spectrum in Mexico? Not quite. The PVEM is little more than a stalking horse of the PRI, with which it has generally formed electoral and legislative coalitions. The party’s platform bears little resemblance to that of international Greens; the European Green party withdrew its recognition of the PVEM in 2008 for supporting the death penalty. The PVEM has achieved its uptick in electoral support through blatant and series violations of campaign rules, for which the party has amassed over 500 million pesos (around US$ 33 million) in fines. These sanctions have clearly done nothing to change its campaign strategy. The PVEM could secure over 50 seats in the next Congress. The ultimate winner would, of course, be the PRI, which could count on PVEM support to garner a larger de facto legislative majority. Will the polls be wrong? Recent election results from the United Kingdom, Israel, and Brazil have led pundits to ask whether there is something wrong with how pollsters gauge public opinion. In the case of Mexico, the question is more direct: do polls systematically overstate support for the PRI? A 2015 study by academics found that nine out of thirteen polling firms consistently overestimated support for Peña Nieto in the run-up to the 2012 presidential vote. None underestimated it. Given the close connections between political polling and media that report their results, and the well-known links between Mexico’s most powerful media companies and the PRI, the regular overestimation of PRI support has been a growing source of suspicion. 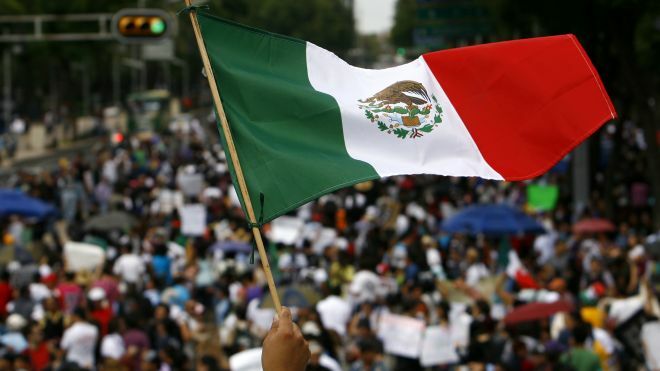 Is the Mexican left up for grabs? Morena, a new political party started by leftist firebrand Andrés Manuel López Obrador (AMLO) in 2012, is mounting a serious challenge to the PRD. AMLO abandoned the PRD, the main left-of-center party since 1989, after his unsuccessful presidential run in 2012. Voters disillusioned with the PRD’s support for president Peña’s reform agenda flocked to AMLO’s new political movement, which gained recognition as a political party last year. Just last year, the PRD lost its founder and moral authority, Cuauhtémoc Cárdenas in the wake of the Ayotzinapa kidnappings, for which the former PRD mayor of Iguala, José Luis Abarca, has been arrested. 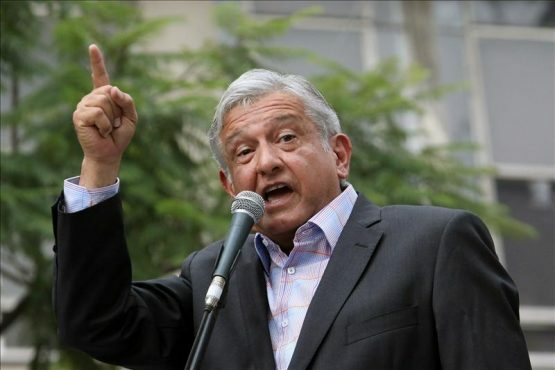 AMLO: ready for one more run? As a result, the PRD finds itself neck and neck with Morena in many key races in Mexico City, where the PRD has governed for the last 18 years. In the national legislature race, Morena pulled even with the PRD earlier this year, although recent polling puts a 6 percentage point gap between them. Still, with Morena receiving around 10 percent of the vote intention to the PRD’s 16, the left is clearly divided, and the PRD significantly weakened. The door is open for Morena, other small parties such as the Worker’s Party (PT), or even independent candidates to fill the void. Will the drug cartels be a factor? The links between organized crime and politics in Mexico are pervasive, highly complex, and have been much discussed since the Ayotzinapa case. Three candidates in the current campaign have been murdered, most recently a PRD federal deputy candidate on Tuesday. However, it is important to underscore that the influence of drug cartels go far beyond specific acts of violence against candidates. Acts of intimidation to affect outcomes and deter voters in local elections are common, and many do not make headlines. The recent outbreak of severe violence in Jalisco has been seen as an attempt by the ascendant Cartel Jalisco Nueva Generación to consolidate control of new territory ahead of elections. As frightening as these incidents have been, a scarier thought is that the cartel may have successfully spread its influence and coopted local politicians in several neighboring states, including Colima, Guanajuato, and Nayarit—without facing opposition from rivals. In short, the answer to this question is undoubtedly yes. The cartels have already made their influence felt, although its full extent is impossible to know.